David Harbour sure seems like a cool guy. He comes across as serious about his craft, but self-depreciating enough to tell Vanity Fair he didn’t think he was “pretty enough or interesting enough” to be featured in their pages. Don’t be so hard on yourself, man! his own run-in with public safety officers in his younger days. Vanity Fair: You’ve played a wide array of characters over the years. Is it more fun to play someone upholding the law or breaking the law? David Harbour: That’s a good question. I think that they offer different things that are fun. The thing about psychotic people is that they live without social law. . . . There are certain societal laws that are just accepted things that are arbitrary. I think the fun thing about psychotics is that they question that. It can be very freeing . . . like, my ego or my individuality trumps society’s law. In that way, it can be very fun to sort of impose your will on the world. Whereas, cops are upholders of this societal law, upholders of the arbitrary. In that way, they are in a way more complicated because they have their own moral conundrums about that, which you see in Hopper. . . . I like the tension of the good guy. I’ve so often played the bad guy in my career, up until Hopper. I think that I like the tension good guys live with. Right from that opening, you see him hungover on the couch. And even from that first scene with Joyce [Winona Ryder] where he makes fun of, or at least questions, her missing kid’s sexuality by implying that he might be gay . . . I think that he is at his heart a very good dude, but I don’t think at the beginning of the pilot he is a good person. 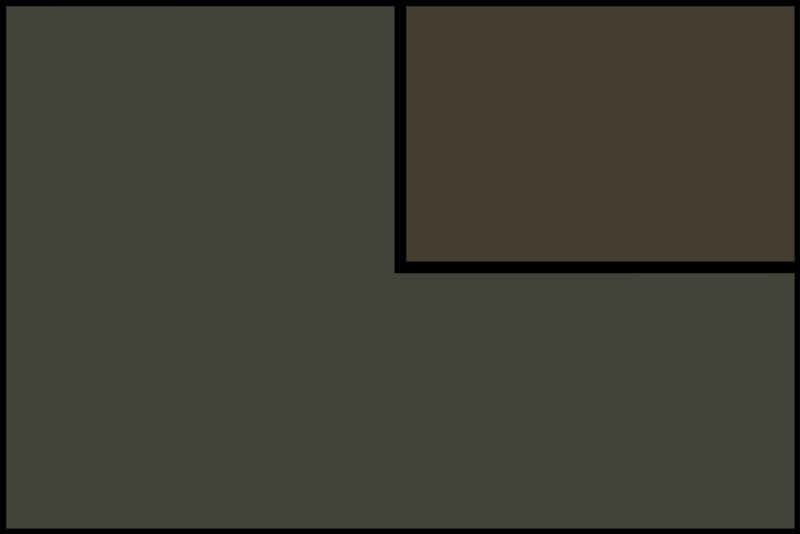 I think he’s a shell of what he once was, and he’s gotten very dark and very crusty. I like that. One of the things about having played a lot of villains is . . . I don’t have the same experience of someone who maybe has been a leading man since they were 22, and therefore looks at certain things in a character to romanticize themselves. I actually very much embrace the bad stuff. That’s the stuff I’m comfortable in, the stuff that bucks society or is provocative to society. Like, why should I behave the way you think I should behave? I like that aspect of him, I thought that was really fun to play. There’s the Captain Americas who are always making the right decisions. . . . I love that Hopper makes a lot of the wrong decisions for the right reasons, and a lot of the right decisions for the wrong reasons. That sort of moral ambiguity, along with the pressures of this maintaining society and [the city of] Hawkins and this idea of justice is . . . it’s really rich. 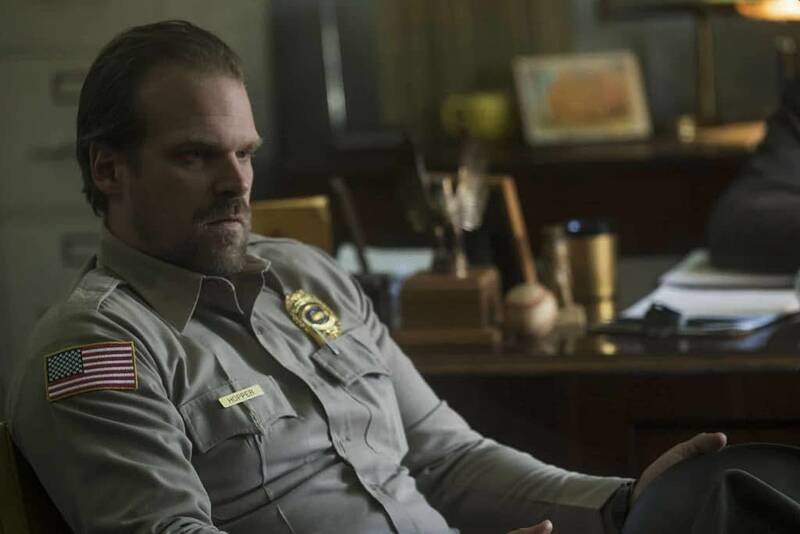 We’re certainly looking forward to seeing how Chief Hopper progresses in season 3 of Stranger Things, and seeing David Harbour as Big Red himself in Hellboy. The Duffer Brothers Respond to Stranger Things Lawsuit: "Completely Meritless"
Wanna See The ‘Bob’s Burgers’ Cast Improv a Mini-Episode? More of Chief Hopper’s Backstory Coming in ‘Stranger Things’ Season 3?